Dr. Karen E. Jackson is a Senior Aerospace Engineer working in the Structural Dynamics Branch of NASA Langley Research Center in Hampton, Virginia USA, where she conducts research in crash simulation and impact testing of aircraft structures. She received a doctorate in Engineering Mechanics from Virginia Tech in 1990. Jackson began her career at the US Army Aeromechanics Laboratory at Ames Research Center (now part of the Army’s Aviation Development Directorate, ADD) in 1981 after completing her Bachelor of Science degree at the University of Tennessee. Shortly thereafter, she transferred to the Army laboratory site at the Langley Research Center (also now part of ADD). Jackson completed her Master of Science degree at Virginia Tech in 1984 and earned her Ph.D. in Engineering Mechanics from Virginia Tech in 1990. Her doctoral work focused on scaling effects in composite materials and became the catalyst that focused her research interest in two areas: scaling characteristics of composite materials and the application of composite materials to aircraft crashworthiness. During her tenure at the Langley Research Center, Jackson has been on the forefront of research in crash modeling and simulation. 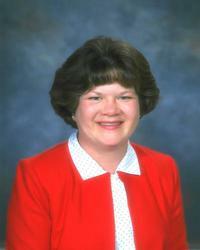 She led the effort for the Army Science and Technology Objective (STO) in Crash Modeling and Simulation in the mid-1990s. This effort was a four-year project that evaluated state-of-the-art simulation codes, developed a finite element model of the Sikorsky Advanced Composite Airframe Program (ACAP) helicopter, conducted a full-scale crash test of the airframe, and validated the simulation methodology through extensive test/analysis correlation. This effort was the first time a full-scale crash simulation was developed using an explicit, nonlinear, transient dynamic finite element analysis. The work was recognized by the Army Research Lab in 1999 with an award for Technical Achievement in Engineering. Jackson’s research in this area has been the basis for work by many others. Subsequent to this research effort, the application of dynamic simulation codes within the rotorcraft industry and the aerospace community at large has increased exponentially to solve a wide range of impact problems, from bird strikes to fan blade containment to multi-terrain crashes. Jackson has made many contributions to the field of impact dynamics, crashworthiness and crash safety. She has authored 24 papers on the topic of scaling effects in composite materials. Research in this area led to the modification of the ASTM International standard test method for determination of shear modulus and strength properties for composite materials. Through an Army exchange program, Jackson spent time at the UK Defence Evaluation and Research Agency (now the Defence Science and Technology Laboratory, Dstl) in 1995 to conduct further research in scaling effects for composites. She is the co-inventor of a crush test fixture that was awarded a US patent for determination of the energy absorption capabilities of composite laminates. In addition, she served as a liaison for the Army’s Full Spectrum Crashworthiness program to establish new crashworthiness criteria for military helicopters. Jackson also conducted research to develop improved energy absorbing material and construction methods for airframes. She led a team that developed a retrofit subfloor to improve the crashworthy characteristics of a fuselage section, and also developed an innovative fuselage section concept fabricated using composite sandwich construction to form a stiff and strong cabin. The fuselage section has become a testbed for research programs that have studied seat/occupant test and analysis correlation, and a multi-terrain impact study that was conducted with the rotorcraft industry, which was honored in 2003 with the AHS Harry T. Jensen Award, “given in recognition of an outstanding contribution to the improvement of rotorcraft reliability, maintainability, or safety through improved design”. In 2006, Jackson transferred to NASA and continued to conduct rotorcraft crashworthiness research. The research focuses specifically on multi-terrain impact simulation, human occupant simulation and injury prediction, probabilistic analysis and uncertainty quantification, and system-integrated helicopter crash test, simulation, and model validation studies. Jackson was instrumental in starting a new, multi-year project between the FAA and NASA to advance crash certification by analysis and demonstration, which will benefit many types of vehicles for the certification process. Jackson has authored or co-authored over 40 peer-reviewed publications, as well as 114 conference papers, many of which were selected for Best Paper awards. Jackson has served on the Board of Directors of AHS International (now the Vertical Flight Society), and continues to be active in the Society's Hampton Roads Chapter, having served in nearly every office; she continues to lead pre-college outreach events in the Hampton Roads area, such as serving as a judge for the Tidewater Regional Science Fair.